What In The World Is The "Fuzzy Front End" Of Innovation? Have you heard the term “fuzzy front end” (FFE) before? What does that even mean? While many definitions of the term and associated activities are out there, it seems there is still no accepted, universal definition. It’s not immediately clear as to why this is, but there are commonalities between existing definitions. Generally, FFE is considered the “messy, getting started” period in pre-product development. Many FFE models leverage similar tools and activities, so any number of stages or tasks can be involved. Less formality also is an identifying factor of this stage; while many other product development processes are highly structured, FFE adopts a more fluid approach. Any unstructured activity in product development can feel a bit scary; if a design stage has no clear start and end points, planned activities, or defined outcomes, then it’s easy to worry about how effective that stage is going to be. As a result, the concept of FFE can make many development teams and life science organizations uncomfortable. Thankfully, FFE is not as terrifying as it might appear at the outset. “Fuzzy” is less of a warning and more of an invitation; it asks you to step outside of the rigidity of the day-in, day-out product development work to generate innovative ideas and solutions, which you then can apply back into your rigorous design work. Additionally, FFE has long been misrepresented as a single ideation step, when it’s really meant as an umbrella term. Rather, FFE is a collection of activities for generating designs and plans early in product development. Studies have shown that some degree of formalization does, in general, enhance the overall FFE process, and can be achieved through explicit organizational structure, as well as through performance measurements. In addition, FFE tools, methods, and activities flow down from the FFE umbrella and can create an iterative and complex innovation process. Many more such tools and methods exist for fostering and supporting FFE innovation. And, because they are meant to be iterative, these tools can give organizations the flexibility to change and adapt their business models and product lines more responsively over time. What Are Some FFE Tools? There are no universal tools that leaders agree should be included in the scope of FFE. However, many forward-minded organizations recommend the same (or similar) tools at the front end, worth consideration in your pre-product development stages. Organizations such as the LUMA Institute and IDEO advocate for human-centered tools and methods to thoroughly capture and understand customer needs at the start of the FFE. Activities such as interviewing and researching leverage the philosophies of human-centered design, and are meant to inspire your team. Research is a quantitative approach to understanding the early steps of your innovation activities. It helps you identify the existing market for the type of device you want to develop, and narrow the conditions or diseases you want to find novel treatment solutions for. The results of your research allow you to contextualize the interviewing, stakeholder mapping, KJ methods (affinity diagramming), Kano modeling, etc., that you do on the front end, as well as assess your project’s market viability. Likewise, interviewing is a qualitative tool that puts your research into context. This can be accomplished through direct question-and-answer sessions, but integrating actual use scenarios into the interview process can be immensely valuable. Seeing where users are struggling can help your team develop solutions that better meet user needs. Interviewing enables you to answer fundamental questions about your stakeholders’ experience based on the research, and to highlight unmet needs your interviewees may not even know they have. Additionally, interviewing is one link in a chain of tools that assist you in developing customer voices and user needs. It’s a very simple way of capturing initial inputs about your customers’ needs, and upon reiteration lets you refine your thoughts and results. Paired together, research can tell you where market opportunities are, and interviewing can explain why. Other activities, like journey/stakeholder mapping, user stories, and so on, scope out how a customer or other stakeholder may interact with your device, assisting in prioritizing customer voices and any specific stakeholder needs. This enables narrowing the scope of the overall FFE process. In an industry where time to market is critical, and project timelines are seemingly always at risk, these tools are vital for your innovation processes. Through stakeholder mapping, you can see all the voices that may be impacted by — or be invested in — your device, and prioritize their concerns based on what their interactions with the device look like. Then, through journey mapping, you can see how these interactions take place, and how they impact your device’s viability or function. This may then change how your stakeholders are ranked. Both tools feed into each other and influence how the other is developed over successive iteration cycles. Two distinct types of brainstorming, divergent thinking and convergent thinking, often are employed in FFE. They’re considered different parts of a similar process, and balancing them both in early development stages is encouraged. Divergent thinking is similar to an open-ended brainstorming exercise. It’s a less constrained way to generate inventive ideas and solutions. It allows you to develop a wide base of ideas from which to build, and to explore without as much restriction as other ideation processes. While a more fluid activity, it’s a worthwhile one; that unstructured space in your early innovation steps helps your team challenge conventional thinking within your organization and could lead the way to solutions you hadn’t been able to see before. Convergent thinking is the inverse process that follows divergent thinking: it takes that foundation of ideas and begins to whittle down and synthesize them, based on the existing constraints of regulatory requirements, cost, and business limitations. As the convergent thinking process goes along, it can highlight which concepts may not be appropriate or feasible, which can be sufficiently realized, and which are critical to the product’s design. This allows you to weed out potential solutions that are inappropriate before they move into later design stages, saving your team time and effort. Deciding which tools to deploy in your FFE depends on your needs and priorities. In addition, organization-wide cultural attitudes might favor certain tools over others. With a structure in place for encouraging innovation, your teams can better select the FFE tools they think will best enhance their work. Be prepared to manage iteration by jumping back and forth between these tools. They are neither sequential nor one-time activities; these tools influence and impact each other throughout product development. A work environment built to support FFE goes a long way in building up a culture of innovation in your organization; however, it needs to be supported and checked with robust business analysis and feasibility assessments. Moving from ideation and concept definition to prototyping and feasibility studies takes significant investments in time and resources. To ensure those investments are value-added, optimizing the FFE and proving the viability of innovative thinking are key. Nick Schofield is an experienced writer and marketing professional. 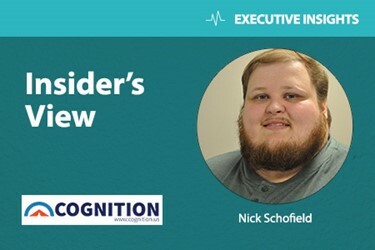 With Cognition Corporation, he authors in-depth guides that help support life science professionals in managing design controls and risk management activities from regulatory, quality, and engineering perspectives. Nick has also written for IT, cybersecurity, and news media organizations.